Divide your trash, to conquer it. Segregate your garbage it into three categories, to make life easy for everyone! Put in simple terms, this is what the High Court of Karnataka ordered in the hearing of the Public Interest Litigation on garbage problem in the city, on December 17, 2015. Two bins and one bag, brought to the High Court of Karnataka by solid waste management activist Sandya Narayan captured the attention of the judges, who agreed with the way they can be used effectively to solve the problem of managing waste in the city. In the interim order, the bench headed by Justice N Kumar and B V Nagarathna ordered for mandatory segregation of waste at source, by implementing the three-way segregation that makes use of 2 bin – 1 bag system. The court said it was the first step towards addressing the solid waste management issue plaguing Bengaluru city. “We are not yet finished with the case. More orders will be given in future. But, let us first implement waste segregation at source,” the bench said. The order has come at a time when BBMP is reeling under garbage crisis. The order mainly focuses on addressing garbage issue through effective segregation of waste at source and transportation of waste. Under this system, houses should use green bin for putting wet (biodegradable) waste, red bin for hazardous and sanitary waste and a reusable bag for dry (non-biodegradable) waste. The system is supposed to be adopted by bulk generators (apartments that have more than 50 units, or those who produce more than 10 kg of waste per day, whichever is lower) too by using bigger bins which could be handled by a single individual without any assistance. All commercial establishments, government offices and educational institutions are supposed to adhere to the same order. The order mandates that BBMP conduct door-to-door waste collection on daily basis at a fixed time of the day in all residential, commercial areas, slums and informal units. The order upheld the No garbage on ground (NGOG) policy that had a feeble existence in Bengaluru since the year 2000. The order says the waste collected from houses and establishments should reach the processing units directly without touching the ground. “Under no circumstances they are mixed and transported. Transportation shall take place in segregated form only,” the bench said. This order, if implemented effectively, reduces the need for secondary garbage transfer points (where the waste from autos is transferred to lorries or compactors) that cause stench in the surroundings. “BBMP should ensure that the waste is not mixed at any point. The biodegradable waste collected from houses, vegetable, fish and meat markets and horticulture should be processed at the composting plants and the BBMP should make optimum use of such waste,” the court said and added that the vehicles transporting waste should be fully covered and should not be visible or exposed to open environment. The court also ordered the BBMP to stop auctioning of horticulture waste generated in parks except fruit plucking. The bench instructed the BBMP to open flower and leaf composting units in Lal Bagh and Cubbon Park. “We know what the horticulture waste contractors do. The valuable horticulture waste should be made use of. The BBMP should stop the tendering process for horticulture waste,” the judges said. The order also emphasises on penalising the rule violators who don’t segregate, in accordance with Karnataka Municipal Corporation Act, 1976. “The above orders and directions are in conformity with Solid Waste Management Rule – 2000. Therefore, if there is any omission and commission in following the directions, it will amount to violation of SWM Rules 2000. Hence, the violation will be an offence punishable under Section 431 (A) of the Karnataka Municipal Corporations Act,” the court said. It can be noted that under KMC Act, those who violate the rule can be penalised with an amount ranging from Rs 100 to Rs 5,000. Before delivering the order, Justice N Kumar at one point said: “We are not in a military rule, but in a democracy. Hence, the court cannot impose strict rule on people to avoid creating waste as people may claim that it is their fundamental right to create waste.” “We would like to emphasise that BBMP alone cannot handle the garbage issue. Citizens, civic workers, corporators of respective wards, members of ward committees too are equally responsible. There should be a coordinated effort by every stakeholder,” the bench observed. BBMP Commissioner Kumar Naik and SWM Special Commissioner Subodh Yadav were present in the court. In order to create awareness among people about waste segregation, the High Court ordered the BBMP to take up public awareness programmes about waste segregation, processing of good waste, separate storage of wet and dry waste, encouraging waste pickers to take segregated waste, wrapping the sanitary waste etc. The Court instructed the BBMP to give due publicity for implementing the Rules. The court had stressed on the same in the last order given on July 10th too, by suggesting that BBMP provide short films on waste segregation and related issues to state-owned media which can be aired by the latter. The BBMP in recent days has been organising jathas in each ward on waste segregation, and has deployed mobile vans and street plays to work on spreading awareness. What is 2 bin – 1 bag model? The model adopted by the High Court is 2 bin-1 bag method. Conceptualised by a group of solid waste management enthusiasts in Bellandur area (part of Kasa Mukta Bellanduru) and evangelised by the Solid Waste Management Round Table (SWMRT), the model aimed to make it easy to process the waste of all kinds and minimise the environmental harm caused by waste. The model was experimented extensively in many apartments in Bellandur and Whitefield areas. To implement the concept, customised segregation kits with two colour-coded, lidded plastic buckets and a reusable plastic bag were designed. This kit along with segregation guidelines was kept for sale on online shopping sites that added their own discount to the kit. A poster from 2bin-1bag team, on how to segregate waste into three sections. Bin 1 – to be kept in kitchen: Wet waste such as food waste and veg peels has to be put in the lidded green bin. This waste will be either composted or go to biomethanation plants to produce methane gas, which could further be used in vehicles or for cooking. Bin 2 – to be kept in bathroom: Sanitary waste such as sanitary pads, tampons, condoms or diapers, and hazardous waste such as blades, bottles etc should be put in the lidded red bin. Sanitary waste such as sanitary pads, condoms and diapers needs to be wrapped in a paper marked X with red ink. The paper marking is a code that will prevent the BBMP staff from opening it. This will be sent to nearby hospitals, from where it will go to biomedical waste disposal centres. The bin is red-coloured to indicate the nature of waste. This will be handled carefully by the BBMP staff who collect waste from every house. Bag – to be kept in a convenient clean place: Dry waste such as papers, plastics and covers must be put in the bag. Milk and curd covers must be washed and dried before putting into this bag. All these items are perfectly recyclable and will go to the nearby dry waste collection centre. The staff at dry waste collection centre will further segregate into sub-categories and send it for recycling units. Wet plastic or paper is unsuitable for recycling, hence it is essential that the contents should be perfectly dry. How to segregate waste in apartments? How to segregate waste in offices? So you segregate waste, what happens next? The court will continue to monitor the implementation of waste management in the city and observe the procedures. Meanwhile, the instances of contractors setting mixed garbage on fire have increased in the city. A few days ago, an auto that was throwing waste in an area was caught by BBMP engineers. Miscreants also tried to set the auto on fire. Bhavna Anegundi, a resident of Banashankari 3rd stage, says that garbage is being thrown in empty sites and set on fire in the area. “Summer is around the corner and the temperature is going to sore. All allergies will be on the rise and this smoke will make it worse. It is impossible to breathe fresh air. When will the situation change?,” she expresses her concerns. Concern on increased garbage dumps has also spilled onto social media. Twitterati from the city also complained about increasing number of garbage spots in the city. A new Facebook movement, Selfie with Kasa, aims to highlight the plight of the city by asking people to take selfies with garbage dumps whenever they see it. Rakesh Maiya, a television actor and a photojournalist who started the page, says that he had opportunity to do many stories on waste management, which made him think about starting this page to make people think about the problem of waste in Bangalore and take steps to solve it. He plans to rope in many citizens and celebrities to inspire people to segregate and handle waste in the right way. Meera K, co-founder of Citizen Matters, is also a member of Solid Waste Management Round Table (SWMRT) and Kasa Muktha Bellandur (KMB) team. Shree D N, Associate Editor, Citizen Matters, is an advocate of environmental journalism. These 1000+ spots tell a thousand tales, if only someone has time to listen to each dump! Go explore the map, and see the stories for yourself. It’s that time of the year when everyone pays property tax in Bengaluru, to get the benefit of 5% rebate. 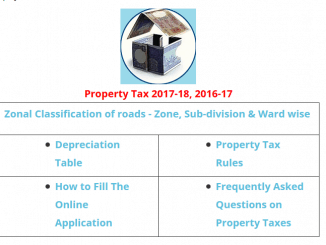 But all is not well with property tax payment system. What’s wrong? So, are ‘you’ prepared to compensate the victims of the BBMP demolition? Who would be actually paying the damages? 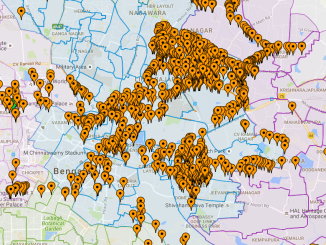 If the government pays any compensation, almost the entire cost would be paid by the Bangaloreans, given that the city generates about 80% of state GDP. Do you like the idea? Note: BBMP has started the tendering process last week, These are again collection and transportation tenders. To the best of my knowledge these tenders are in violation of the High court Directives. Fail to understand why the judicial system does not clean up its act, instead of pontificating on all unconnected issues.